Swimming Pools - The chlorine in swimming pools may affect the REEL Body Art Inks. Cover them with REEL Blue Aqua Sealer for best results. 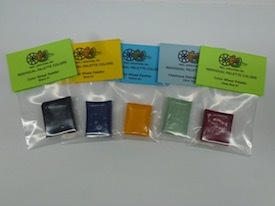 REPLACEMENT COLORS FOR OUR PALETTES!